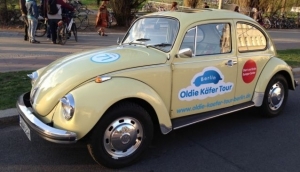 Private tours are a great way to take a tour of Berlin and can be tailored to your specific interests and requests. Private tour guides can amplify your Berlin experience by showing you unique sites, interesting bars, and interesting shops to browse. Private tour guides often have specific field of expertise including art, architecture, WW2 history, DDR history Jewish history, Street Art and Berlin’s underground music scene. With a private guide you will get much more in depth information and the size of the groups are usually small, allowing for an individually tailored Berlin experience.